One of the most rewarding things about food blogging for me has been the wonderful friends I have made in the process. 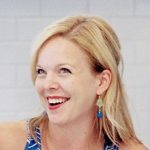 There are a lot of really great bloggers out there, and I have become very close with some of them. Even though we are spread all across the country, we still spend plenty of time emailing about much more than just food. A few weeks ago as I was working on the guest list for my real life holiday party, I was thinking what a shame it was that I couldn’t invite some of the people I consider very good friends, just because we’re separated by pretty long distances. And then I thought, who cares? We could just have a virtual party instead! So I emailed everyone to see if they would be interested in having a virtual party with me, and they were all game. The idea is simple – each of us is posting something we would contribute to a holiday party. 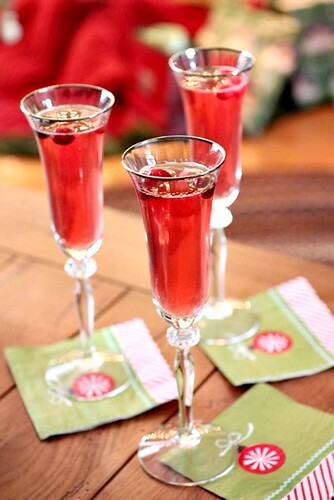 Some made cocktails, some appetizers and some desserts. Looking at everyone’s beautiful photos and tasty creations, it makes me really wish we could have done this in person. (Ladies, you are always welcome in my home and we can make this a reality!) I’ll definitely be trying each of these recipes in the future. Below is the spread we have created together. Click on the individual photos to be directed to the full recipes. 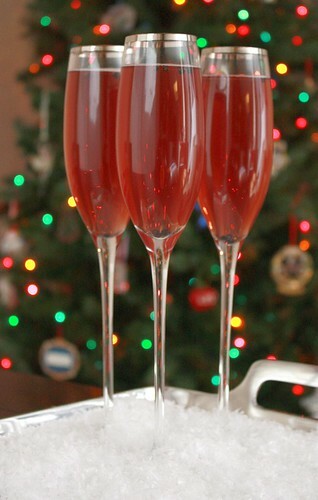 Tara of Smells Like Home made these beautifully festive cranberry lime bellinis. I don’t know about you, but I enjoy just about any cocktail with cranberry and lime, so these are right up my alley. She also shared a virgin version for those who can’t partake in the spirited variety. Nikki of Pennies on a Platter made baked fontina. 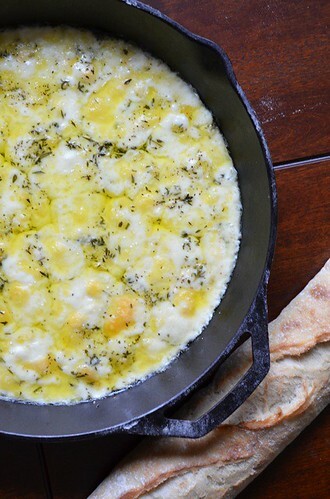 A plate of amazing gooey melted cheese with herbs and seasonings, for eating with crusty bread? Hello, I’m in love. This was already on my list of recipes to try but now I think I’ll need to try it stat. Kelsey of Apple a Day made sparkling pepper berry cocktails. A beautiful bright red cocktail with a kick! I’ll admit I’ve alway been a bit wary of things like desserts or cocktails including peppercorn, but if Kelsey recommends it, then I’m sure it is fabulous. Elly of Elly Says Opa! made dolmades, a Greek dish of stuffed grape leaves. Her version is vegetarian and includes a filling of rice and herbs. 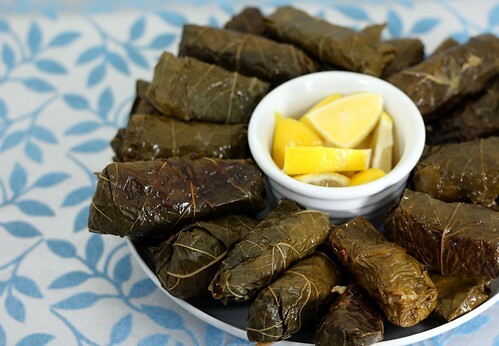 I’ve never tried anything with grape leaves before but these look so delicious, I know I’ll be trying them soon. 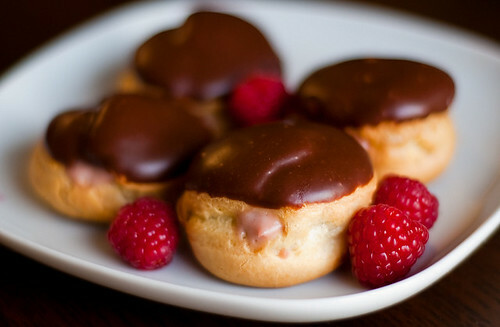 Josie of Pink Parsley Catering made these gorgeous raspberry cream puffs. Cream puffs are a wonderful dessert all on their own but the idea of filling them with raspberry pastry cream is pure genius. And, these are definitely ideal party food since you can easily grab one (or three) with no utensils required. 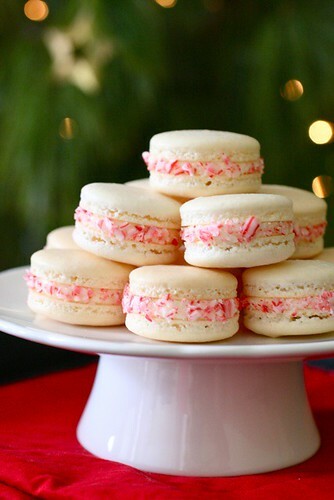 And, I made the candy cane macarons you see above. 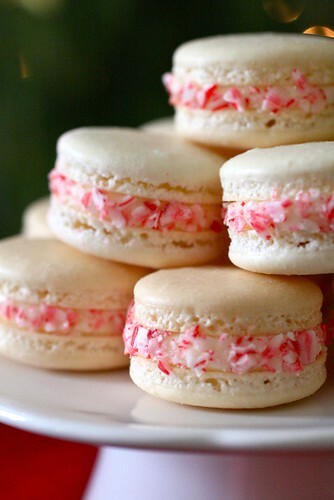 I actually did serve these at my real life holiday party which took place over the weekend, and they were a major hit. I think it was the first time tasting French macarons for a lot of guests, and I think they are glad to have been introduced. As usual, I was lukewarm about these because of the peppermint, but everyone else loved them and there were none leftover at the end of the night, despite me making a double batch! The filling I used is a Swiss meringue buttercream, my favorite kind of vanilla frosting. If you want something a little quicker, a basic vanilla buttercream would do just as well. Or if you are a real mint lover, add a bit of peppermint extract to the frosting to enhance that flavor even more! I had a wonderful time with this virtual holiday party and I’m very thankful for my food blogging friends. You are all amazingly talented women and I feel lucky to know you! Please note – measuring by weight is essential for macarons, so volume measures will not be provided. * If you haven’t made macarons before, you might want to check out this post about my first time making them. It discusses some of the basics of this sometimes finicky cookie and has some step-by-step photos that might be helpful. **It is really important to crush your candy canes well. All too often I see holiday desserts with large, sharp chunks of candy cane that seem more likely to draw blood than make a dessert festive and appetizing. Plus, crushing them is so fun! I put them in a large plastic bag, grab the meat mallet and hammer away to be sure they are evenly ground.